Searching for insurance coverage alone can be a confusing experience: you may not know your exact coverage requirements, who to turn to for a quote or what types of policies offer the best protection for your needs. Fortunately, your search for insurance does not have to be undertaken alone. By working with our independent agents at Benchmark Insurance Group, you can streamline your search for coverage. Requesting an insurance quote online can be frustrating. Standard forms may require information that doesn’t apply to your situation or may leave you wondering what information is even required of you. Our independent agents will personally guide you through the quote request process. We’ll help you understand what information you need, and where to find that information quickly and easily. Plus you’ll never have to complete multiple forms again: with just one call or visit to an agent, you can compare rates from many providers. Captive agents, or those who work directly for a provider, may pressure you to choose a policy that their company offers, even if it isn’t the best product for you. Our agents are not held under the same restrictions. We work with multiple providers, allowing us to gather several quotes for policies that actually fit your needs. We will never pressure you to choose a policy. Instead, we will help you review each option and provide honest advice on the benefits each plan offers. Buying a policy online can be a quick way to insure your home or car. When you need help with your policy or a claim, however, who will you turn to? An agent in a call center across the country? 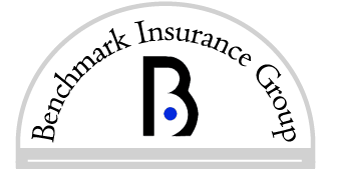 At Benchmark, we are proud to continually serve Central Texas clients throughout the life of their coverage. Our staff remains accessible to discuss your changing coverage needs, offer advice on additional insurance options and to guide you through the process of filing a claim. We are never more than a phone call away, and we are happy to have you stop by the agency to discuss your concerns. Have you ever worked with an independent agent? What were the main benefits you enjoyed during your search for coverage?